SD-WAN, or Software-Defined Networking is a new approach designed to make networks more flexible and agile resulting in reduced costs, improved deployment time and increased resiliency. However, few companies are taking advantage of this new technology. Why? Let’s take a look at some of the hurdles companies face in moving to an SD-WAN environment. Renodis is a featured solution partner of Velocloud, complementing their product with our full life cycle services. 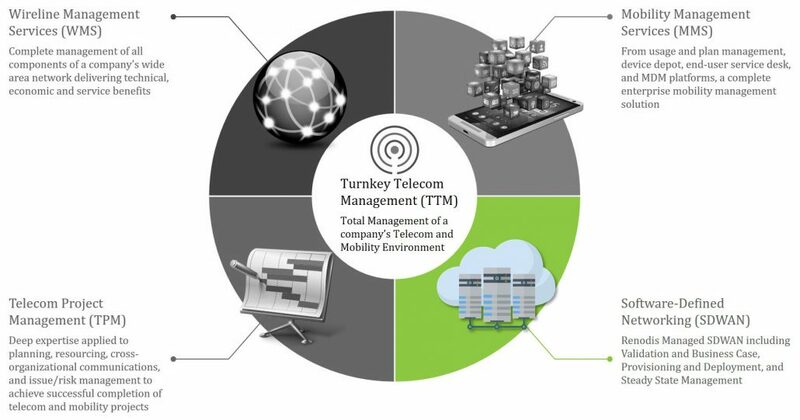 Leveraging our world-class telecom project management office, we provide end-to-end implementation management of multi-carrier solutions.